What's new and solution to problems related to Microsoft Dynamics NAV and Microsoft Dynamics 365 Business Central. MSDYN365BC - Cumulative Update 05 & 06 released for Business Central on Prem (13.0). It's a bit confusing but Business Central (13.0) have cumulative Update released. 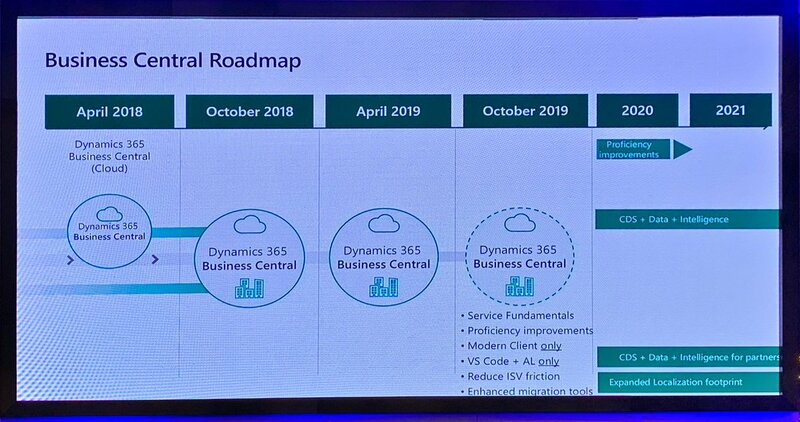 MSDYN365BC - Spring Release is a complete separate Release (14.0). Microsoft has released, Cumulative Update 05 & 06 for Microsoft Dynamics 365 Business Central on-premises and is available for download. 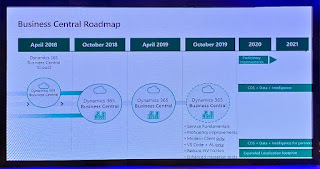 MSDYN365BC - Spring 2019 Update for Microsoft Dynamics 365 Business Central. During Directions Asia, Microsoft has released, Business Central Spring 2019 Update on-premises and is available for download. Details are still not available for download link is available for everyone. I will post an update in the same article once the details of changes will be available on the Microsoft website. Directions Asia 2019 - Discussion about The Big Announcement. As most / all of knew that I attended Directions Asia this year again. I feel great that I was there to be a part of Next Big Change in the Product. This is a coincidence that when I Joined NAV first Big change happened - Role Tailored Client was released. Being there in Directions Asia other than being a part of the big change I was able to clarify doubts and was able to plan my future plan that this Big Change will bring to us. I got so much Information during two days of Directions Asia and I will try to split all learning into multiple articles. Disclaimer: The information that I will list in these articles is based on my understanding & only from my interpretation! If you feel bad after reading this article sorry for that. No Hard Feelings it's just my opinion and if you disagree its ok.
MSDYN365BC - Cumulative Update 04 released for Business Central on Prem. Microsoft has released, Cumulative Update 04 for Microsoft Dynamics 365 Business Central on-premises and is available for download. NAV 2013 Credential Type - How to Use? Microsoft Dynamics NAV 2016 - How to Configure Phone Client. You are not authorized to sign in. Verify that you are using valid credentials and that you have been setup as a user in Microsoft Dynamics NAV. Microsoft Dynamics NAV 2016 - Data Migration. (c) Saurav Dhyani. Powered by Blogger.